Afloat – loudlatinlaughing – Euge! Euge! 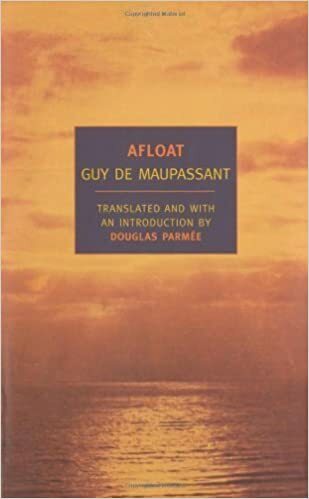 Beautiful nonfiction travel diary by Guy de Maupassant first pub’d in 1888 (Sur l’eau). 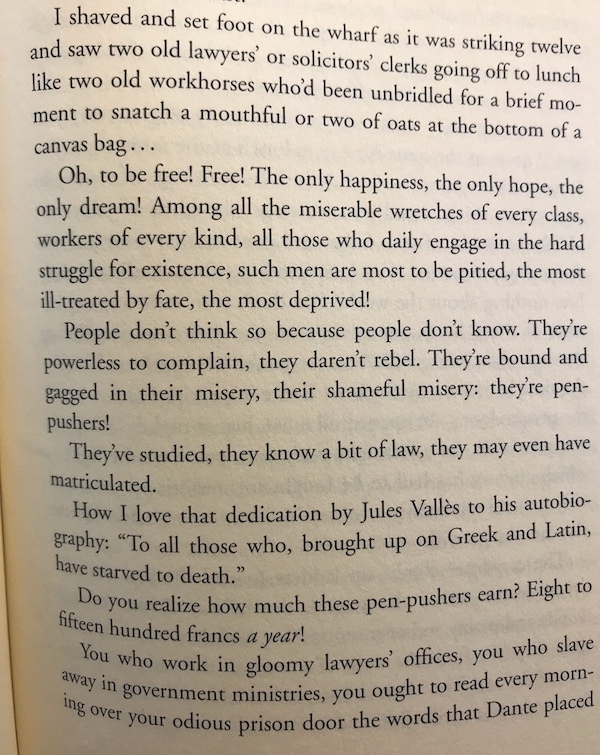 This is the book that Virginia Woolf has a character in The Years pluck from the shelves to read at random “The mediocrity of the universe astonishes and repels me…” so of course I needed to go straight to the (translated) source. Maupassant sets out on his yacht Bel-Ami with a two man crew to do the heavy lifting and sails around the coast of France for a nine day tour, spending lots of time ashore, ending up on a train to meet a friend at a casino in Monte Carlo. I can enjoy the thrill of being alone, the quiet thrill of being able to rest and never be disturbed by a letter or telegram, the sound of a doorbell… Nobody can call on me, invite me out, depress me with smiles, harass me with flattery. I’m alone, really alone, and I’m free. Is there anything more sinister than that “table chat” in hotels? I’ve lived in such places, I’ve had to suffer all the platitudes that the human race can produce on such occasions. You have to bite the bullet really hard in order not to weep with grief, disgust, and shame when you listen to people talking… It seems to me that I’m looking into their ghastly souls and discovering a monstrous fetus preserved in alcohol. And I’m watching them slowly give birth to commonplaces that they’ll go on producing again and again, I can feel them dropping out of their mouths from their inexhaustible fund of idiotic ideas and carried into my ears by the lifeless air. 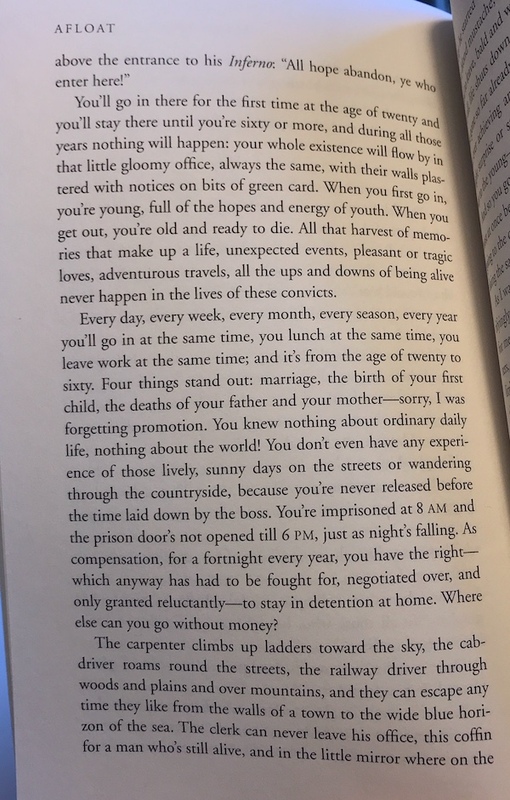 It’s true that sometimes I feel such a horror of living that I long to die, so intensely do I suffer from the relentless monotony of every landscape, of people’s faces and their thoughts. I find the mediocrity of the universe appalling, revolting, I’m disgusted by the paltriness of everything, overwhelmed by the utter worthlessness of the human race. I’ve lusted after everything and enjoyed nothing. 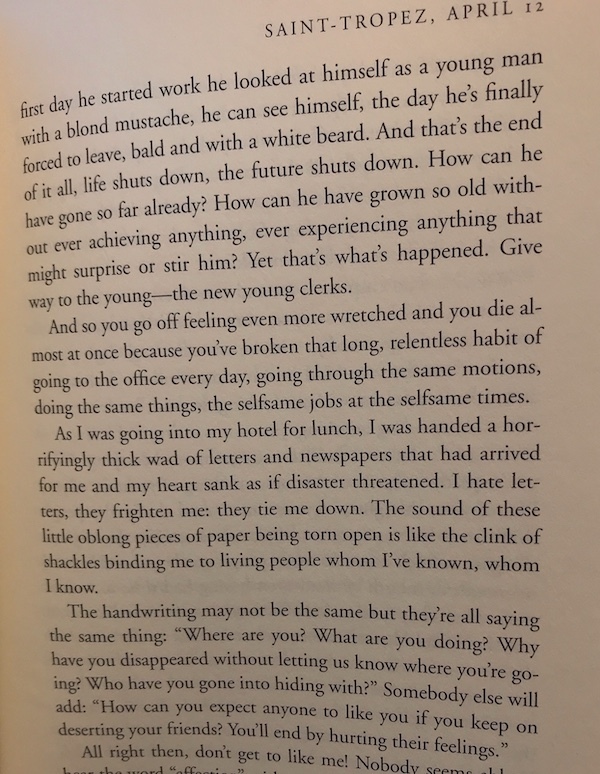 I would have needed the vitality of a whole race of men, the intelligence scattered among all living creatures, every conceivable faculty of mind and body, in addition to a thousand more lives in reserve, because I have inside me every sort of appetite and curiosity—and I’ve been reduced to observing everything and grasping nothing. I always experience an odd, unbearable feeling of discomfort, a terrible nervous irritation as if I was struggling with all my might against a mysterious, irresistible force… How often have I come to realize that my intelligence expands and soars as soon as it’s alone and falls into pieces as soon as I’m in a crowd… The qualities of intellectual initiative, of free will, of individual wisdom, and even of perception of a man left to himself will generally dissipate as soon as he mingles with any large number of other men.